This one stumped me on what to do. I first thought “mirror” and thought of Alice through the looking glass, and then the Disney version of Alice in Wonderland and I thought of what might be a mirror image of that Disney innocence. 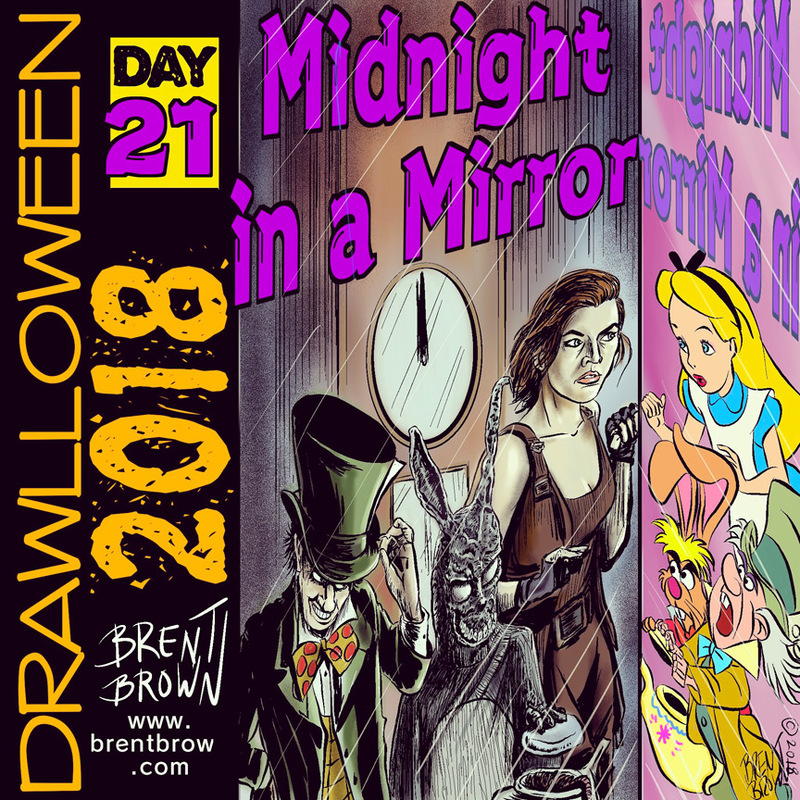 I ended up using the “Alice” character from the Resident Evil movies, played by Mila Jovovich as Alice; the Frank character from Donnie Darko as the mirrored March Hare, and the Batman villain from the comics, of course, The Mad Hatter, as … well, you can figure it out. I threw a clock string midnight to complete the prompt accurately.